Spry Publishing LLC, 9781938170157, 230pp. WOMEN: Ever dream about stay-at-home dads? Do they really wash clothes, pick up after themselves, take great care of your kids, and have dinner waiting for you when you get home? There must be horrible, secret downside that they don't warn you about, right? Witness the life and family of Scott Benner, author, activist, humorist, and 12-year stay-at-home dad. When Scott's daughter, Arden, was diagnosed with type 1 diabetes at the age of two, his world took a sharp turn, but his positive outlook on life did not waver. Scott's colloquial wisdom will warm your heart while it challenges your ideas about parenting and gender roles in today's household. 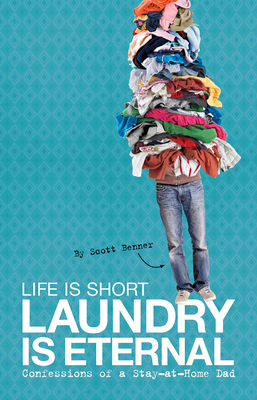 Written from a truly unique point of view in a style both poignant and playful, Life Is Short, Laundry Is Eternal is an honest portrait of the modern family.